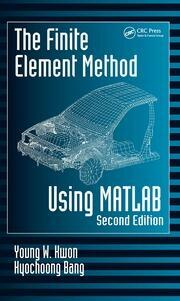 Generating a quality finite element mesh is difficult and often very time-consuming. Mesh-free methods operations can also be complicated and quite costly in terms of computational effort and resources. 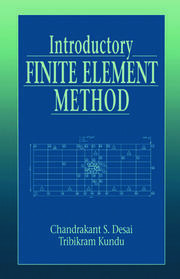 Developed by the authors and their colleagues, the smoothed finite element method (S-FEM) only requires a triangular/tetrahedral mesh to achieve more accurate results, a generally higher convergence rate in energy without increasing computational cost, and easier auto-meshing of the problem domain. 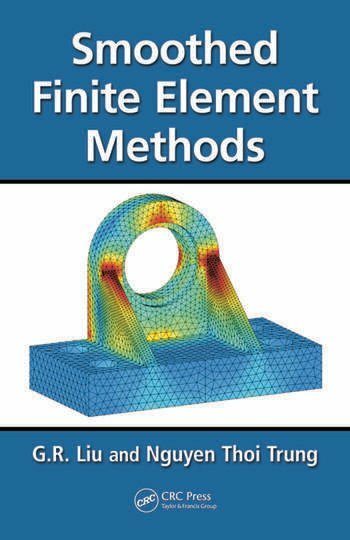 Drawing on the authors’ extensive research results, Smoothed Finite Element Methods presents the theoretical framework and development of various S-FEM models. After introducing background material, basic equations, and an abstracted version of the FEM, the book discusses the overall modeling procedure, fundamental theories, error assessment matters, and necessary building blocks to construct useful S-FEM models. It then focuses on several specific S-FEM models, including cell-based (CS-FEM), node-based (NS-FEM), edge-based (ES-FEM), face-based (FS-FEM), and a combination of FEM and NS-FEM (αFEM). These models are then applied to a wide range of physical problems in solid mechanics, fracture mechanics, viscoelastoplasticity, plates, piezoelectric structures, heat transfer, and structural acoustics. 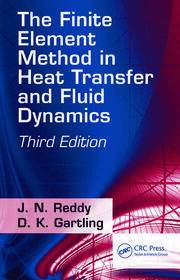 Requiring no previous knowledge of FEM, this book shows how computational methods and numerical techniques like the S-FEM help in the design and analysis of advanced engineering systems in rapid and cost-effective ways since the modeling and simulation can be performed automatically in a virtual environment without physically building the system. Readers can easily apply the methods presented in the text to their own engineering problems for reliable and certified solutions. References appear at the end of each chapter. G.R. Liu is the director of the Centre for Advanced Computations in Engineering Science (ACES) as well as a professor and deputy head of the Department of Mechanical Engineering at the National University of Singapore. Nguyen Thoi Trung is a lecturer in the Department of Mechanics in the University of Science at Vietnam National University in Ho Chi Minh City. He is also the CEO of the Friends of Science and Technology (FOSAT) Group and a researcher in the Faculty of Civil Engineering at Ton Duc Thang University in Ho Chi Minh City. Liu and Nguyen introduce newly developed S-FEM models that combine FEM and mesh-free techniques, and explain their application to fracture mechanics, plates, piezoelectrics, heat transfer, and acoustics problems. Intended for mechanical and structural engineers, the graduate textbook describes each step in the S-FEM method and analyzes the properties of S-FEM models using smoothing domains based on cells, nodes, edges, and faces. Numerical examples are provided for an interfacial crack, elastic strain on a hollow sphere, plate buckling, an engine pedestal, and acoustic pressure distribution in a car passenger compartment.